Newly Weds Foods Limited manufactures and markets a range of coatings, seasonings and flavouring ingredients to the food industry. Originally established in Leeds in 1954, the original headquarters at Ossett was built in 1989.They have three other manufacturing sites in the UK based in Banbury, Corby and Kingston upon Hull. The company needed to relocate the Ossett warehouse which meant the disassembly of their existing Pallet Racking and then re-building at the new site. Quickline achieved this in a four-week time frame, with additional pallet locations being added as well as barriers to the front and back. The 3500 pallet location scheme was designed around a Reach Truck layout. 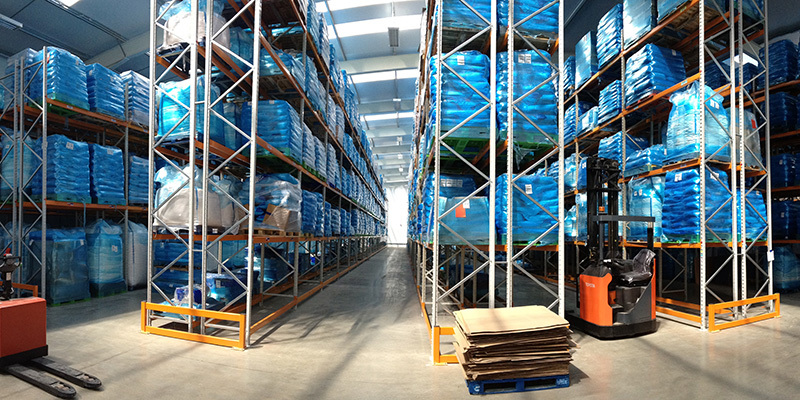 The client was highly satisfied and has since contracted Quickline once again for the supply of their bakery racking.